Located in Taito, this hotel is within a 10-minute walk of Hanayashiki Amusement Park, Sensō-ji Temple and Asakusa Shrine. 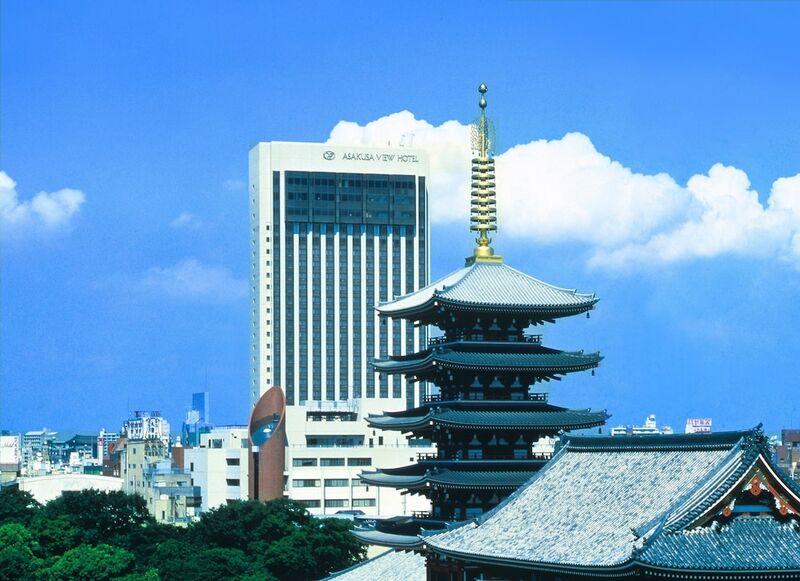 Ueno Park and Kaminarimon are also within 1 mile (2 km). Tawaramachi Station is 9 minutes by foot and Asakusa Station is 11 minutes. This hotel features 4 restaurants, an indoor pool and a bar/lounge. WiFi in public areas is free. Other amenities include a coffee shop/café, self parking and concierge services. All 326 rooms boast deep soaking bathtubs, and offer free WiFi and LCD TVs. Other amenities available to guests include free wired Internet, fridges and room service (during limited hours). Dining is available at one of the hotel's 4 restaurants, and guests can grab a coffee at the coffee shop/café. A bar/lounge is on site where guests can unwind with a drink. Wireless Internet access is complimentary. For a surcharge, an area shuttle within 0 km is available to guests. This business-friendly hotel also offers an indoor pool, multilingual staff and concierge services. On-site parking is available (surcharge). Asakusa View Hotel has designated areas for smoking. Musashi – This restaurant specialises in international cuisine and serves breakfast, lunch and dinner. Open daily. Karakurenai & Makie – This restaurant specialises in fusion cuisine and serves lunch and dinner. Open daily. Karuta – This restaurant specialises in Japanese cuisine and serves lunch and dinner. Open selected days. Makibi – This steakhouse serves lunch and dinner. Open daily. The Lounge – This lobby lounge only serves light fare. Open daily. Start your morning with a buffet breakfast, available each day from 6:30 AM to 10 AM for a surcharge. You can order a meal from room service during limited hours. Guests aged under 13 years old are not allowed in the swimming pool. This property's policy is to refuse certain bookings for the purpose of group events or parties, including pre-wedding stag/bachelor and hen/bachelorette parties. The Japanese Ministry of Health, Labour and Welfare requires all international visitors to submit their passport number and nationality when registering at any lodging facility (inns, hotels, motels, etc.). Additionally, accommodation proprietors are required to photocopy passports for all registering guests and keep the photocopy on file. Some facilities may have restricted access. Guests can contact the property for details using the contact information on the booking confirmation. Parking height restrictions apply.